The intended “searchQuick” (sQuick) is an application to enable a user to search a set of books or texts, like an encyclopedia, or some other topical book collection offline built in the open source platform Pharo 4.0. – TextMorph for labels etc. – ImageMorph for background, header GIFs etc. 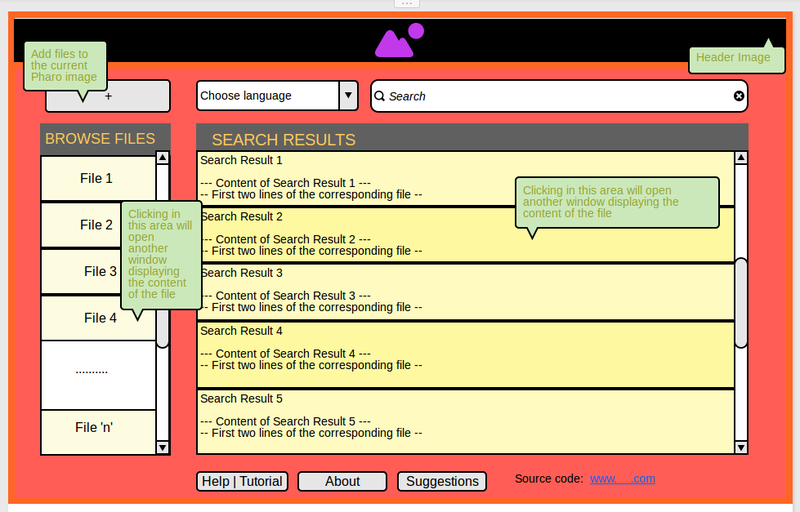 – TextMorphForEditView to enter the search string. – SimpleButtonMorphs for creating buttons whose click will perform the desired action. – MenuMorph , MenuItemMorph to make the list of files available as ‘Browse’ menu. – DropListMorph to make a drop down list menu for the selection of languages. Making a Metacello Configuration of the project for easy project loading in Pharo. Initiate working on the search tool / indexer build.